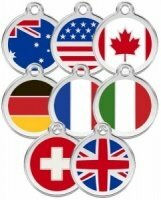 Hard-wearing polished stainless steel dog name tag. 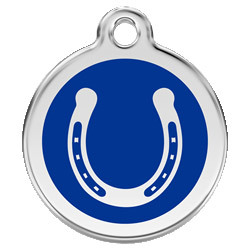 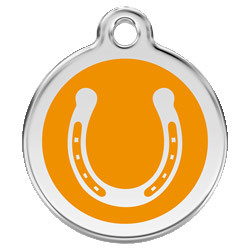 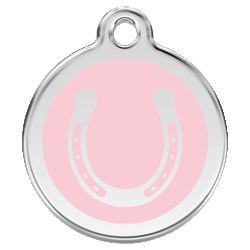 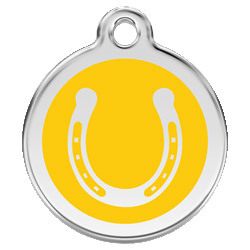 This enamel identity tag by Red Dingo features a Horseshoe design. 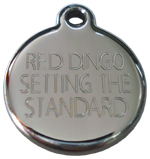 Price includes engraving. 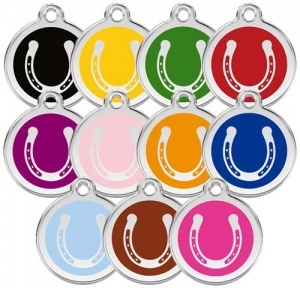 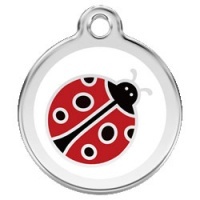 The designs are enamelled onto the steel making a stylish and durable tag that will last and last.